Did you hear the exciting Star Wars News?? During the Star Wars Celebration, Director/Writer J.J. Abrams and Producer Kathleen Kennedy were joined by stars Daisy Ridley, John Boyega, Kelly Marie Tran, Oscar Isaac, Billy Dee Williams, Naomi Ackie, Joonas Suotamo and Anthony Daniels, and droids BB-8 and D-0, for a panel discussion at Star Wars Celebration in Chicago, moderated by Stephen Colbert. 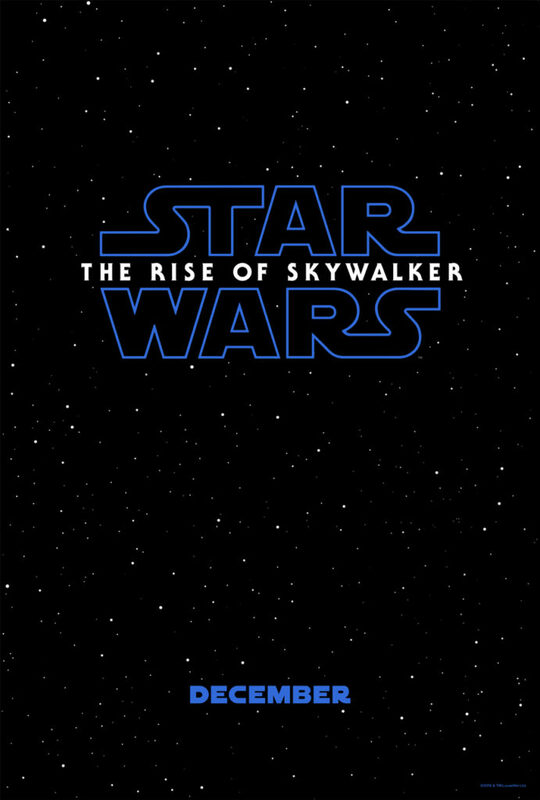 The title of the final installment of the Skywalker saga was also revealed, Star Wars: The Rise of Skywalker, and along with the first trailer for the film a brand-new teaser poster! This was crazy to watch on the live feeds! Everyone was so excited! What do you think? Is Rey Luke’s daughter? I’d love to hear your theories! This is going to be so hard to wait for! Star Wars: The Rise of Skywalker opens in U.S. theaters on December 20! « Giant Grand Opening in Village Center, Olney MD!